Swedish car and helmet brands work together to improve safety of cyclists. POC and Volvo – both of Sweden – have worked together on cyclist proximity sensors and will unveil the technology at the Consumer Electronics Show in Las Vegas, the world’s leading tech expo, which will starts on 6th January. The technology involves in-car sensors and a beacon embedded in a POC cycle helmet. 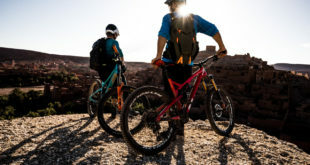 Similar technology has been available for many years (bike-car proximity tech have been exhibited a number of times at Interbike in Las Vegas) but it’s significant that a major car maker could adopt the system. Sweden is famous for its "vision zero" initiative to radically reduce deaths on the road. 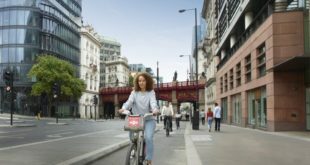 The Volvo and POC system consists of a connected car and helmet prototype that establishes two-way communication offering proximity alerts to both drivers and cyclists. POC makes skiing and cycling helmets, apparel and accessories, and has been working with Volvo since January this year. 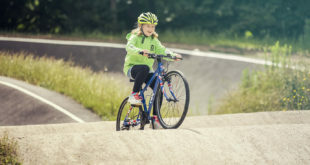 “Our partnership with Volvo aligns very well with our mission to do the best we can to possibly save lives and to reduce the consequences of accidents for gravity sports athletes and cyclists." A cyclist’s position can be shared through the Volvo cloud to the motorist. If an imminent collision is calculated, both road users will be warned. The Volvo driver will be alerted to a cyclist nearby through a head-up display alert – even if the cyclist does not appear in view. The cyclist will also be warned via a helmet-mounted alert light, as well as vibration. Klas Bendrik, VP and group CIO at Volvo Cars said: “[This] strategic partnership is an important milestone in investigating the next steps towards Volvo’s goal to build cars that will not crash anymore." In 2013, Volvo introduced its Cyclist Detection System with fully automatic emergency braking in city traffic.